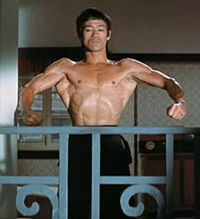 Bruce Lee Training developed a physique that was something to marvel about. 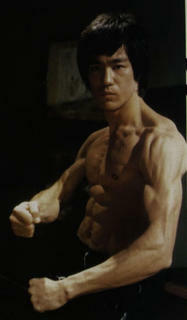 Bruce Lee's well-defined body shape, steel muscles and fitness has inspired thousands across the world to emulate him. It's very true that many individuals have embraced health and fitness programs in their quest to attain Lee's legendary physique. But some don't just get it right. Well, you might not perform pushups with one hand using the thumb and the index finger only. You may never throw grains of rice into the air and catch them with chopsticks amid fight. But surely you can get as fit as he used to be. Now the question is, what did he do to make him attain this level of fitness? And just in case he had a secret, is it something that can be learned by everybody today? Those are questions you may want to ask before embarking on Bruce Lee Training. Bruce's secret was to use what we call intense training to make him perform the way he used to. Intense training includes isometrics, which is one form of fitness that has produced results for many fitness enthusiasts across the world. For one, isometric exercise (click the link for some free isometric exercises you can do today!) has been shown to improve strength and muscle density. That's all he did. However, with each form of exercises mentioned above, it required a fully body isometric to get the best results. In addition to the regular martial arts training he did frequently, the 8 isometric exercises above helped him attain a Dragon body, and you can do it too. And Isometrics, the basis of Bruce Lee Training is something that has been repeatedly tested and proven successful over the years. At the end of World War 1, a number of soldiers needed to be rehabilitated in order to heal quickly. The biggest challenge was that there were no equipment or personnel to take care of the wounded soldiers. There were also fears that their muscles would atrophy due to long periods of inactivity. In an attempt to find answers to their worries, a few scientists decided to perform tests on laboratory frogs. They only selected healthy ones and tied each of the frogs' leg to an immobile object. The other leg remained free for almost 2 weeks. They wondered how much would the tied leg atrophy in just 2 weeks. At the end of the 2 weeks, the scientists were shocked because they hoped for something that did not happen. Instead of the immobile leg becoming weaker, it grew stronger. It was so strong that the frog hopped in a lopsided manner. The scientists did not know that they had discovered isometric exercise. In short, isometric exercise is one in which a force is applied on a static muscle with the intentions to trigger isometric contraction. The muscles try to contract to move a limb but is unable to do so. This is exactly what Bruce Lee did in his training routine to develop the perfect training and fitness program that yielded results. You can get started on your own Bruce Lee Training regime with my free isometric exercises here or start a comprehensive training program using my 7 Seconds to A Perfect Body System - the definitive introduction to Isometrics and start carving your own Perfect, Bruce Lee like Body! You've been reading about the Bruce Lee Training and how Isometrics can help you build one. Check out my other articles on Bruce Lee here. Click here to get started on your own Isometric Program!